Emotional intelligence is the ability to perceive, control and evaluate emotions. Emotional intelligence is therefore the subset interpersonal intelligence that involves the ability to control our feelings and emotions and those of others, discerning and using this information to guide the thinking and actions. The kinesthetic dynamics’ model identifies four different factors of emotional intelligence: the perception of emotions, the ability to reason with emotions, the ability to understand the emotions and the ability to manage emotions. Feel the emotions of the horse: The first step in understanding horse’s emotions is to accurately perceive them through a dynamic relationship: at liberty, while lunging, in hand, in an open field, while riding. This can be done reading nonverbal signals such as body language and facial expressions of the horse. Reasoning with emotions: The next step involves the use of emotions to promote thinking and cognitive activity. Emotions help to highlight the priority situations through the degree of attention and reaction of the horse; horses respond emotionally to all the things that attract their attention. Understanding emotions: emotions that horses perceive can carry a wide variety of meanings. If a horse is expressing fear, the observer must interpret the cause of it and what it might mean. For example, if a horse is tightening, it might mean that he is dissatisfied with the work; or that he’s afraid of a new situation. Managing emotions: The ability to manage emotions effectively is a key part in working with horses. This process is achieved by way of charging and discharging emotions in order to create a balanced and safe base to which horses can refer to: the rider. What motivates the horse? In my opinion: “The relationship with the human.” Here the horse can find a wide range of emotional intelligence, a new state of mind, a new dimension where the horse is more of a man and the man is more of a horse. 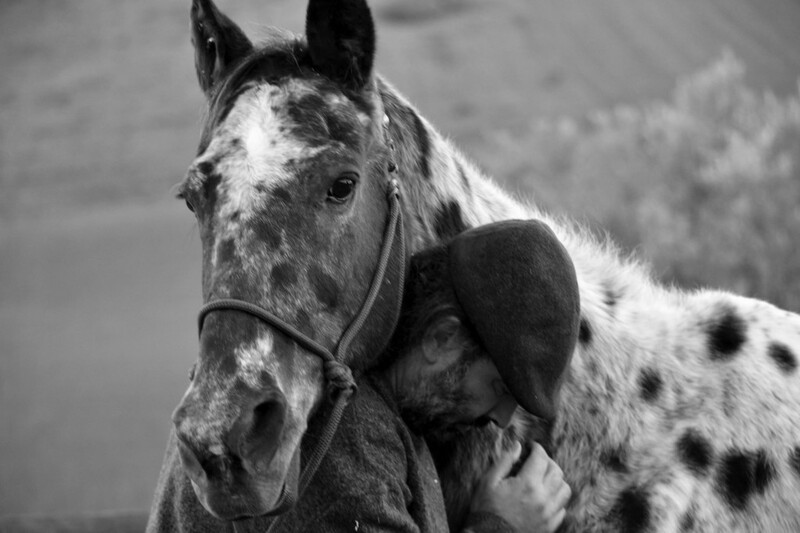 This relationship is a safe source of wellbeing for the horse … . It’s a bit like in a romance … We create situations and feelings that are mirrors of what we are. At the end everything relates to a degree of mindfulness and unconditional love. The reason why so many people are attracted by horses is for the high degree of emotions that we can perceive: horses slow us down helping us to become better humans. When you are watching Lorenzo working with horses, you can see and feel that there is something you can’t quite put together. It is intriguing and challenging because at the same time it is inviting you to find a place which for most people can only be found in their dreams.